My very lovely sister gave this to me for Christmas. 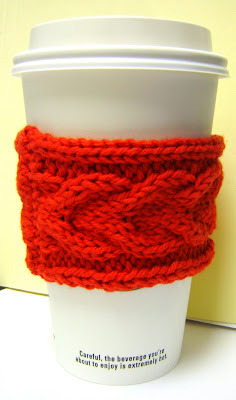 It's a knitted coffee sleeve. already enjoyable act of coffee drinking even more beautiful. drinking coffee with this cute red sleeve around my cup. Very cool of your cool sis!